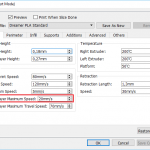 If you do not want to invest time in setting up or buying a different slicing program there is also a way to change quite a lot of advanced settings within Flashforge’s own Flashprint program. 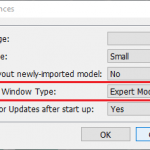 It is very good to see that Flashforge is continuously updating their slicing program with useful features. If you still feel some features are missing, follow the instructions below to edit the configuration file. To open the file, right click on it and select your favorite text editor. I use the freeware program Notepad++, but Wordpad also works. Do not open the file with the regular notepad as supplied with Windows, since this program does not deal with the word wrap function at the end of the text lines correctly. Once the file is opened, all of the available settings can be verified and changed as needed. See the gallery below for the available parameters. Click on any of the thumbnails to enlarge it to full screen. The settings are neatly grouped in categories and at the end of each line the range within which each variable can be set is shown, including the default value. If you have changed a setting and want to save the file notepad++ will indicate that administrator rights are required. Press yes to enter administrator mode and press the save button again. Any changes made to the default.cfg file will become effective immediately when a new G-code file is made with Flashprint using the print button. It is not necessary to close Flashprint when changing the default.cfg file. 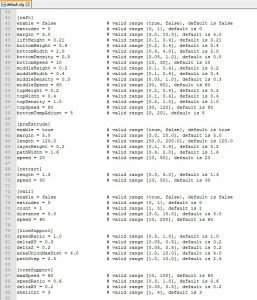 In this article I will describe 2 examples of changed parameters and show how they affect the generated G-code file. The first example is changing the speed of the first layer and the second is changing the length of the pre-extrude path. 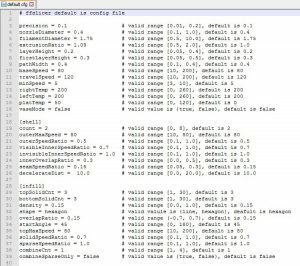 Although I have not tested the effect of changing each parameter, all of the listed parameters can be modified. Make sure you save a backup copy of the file before making any changes, so you can return in case of a mistake. Also I have noticed that the contents of the file may change during an update of the Flashprint software, so it may be necessary to redo your changes after an update. In the screenshot below the effect of this change is shown. The G-code in the top file was generated with the default setting of 20mm/sec and the bottom file with 40 mm/sec. 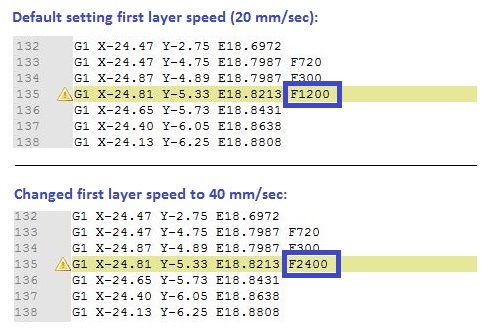 The speed for the first layer changed from 1200 mm/min (=20mm/sec) to 2400 mm/min (40mm/sec). Under the preExtrude category several parameters are available, like pathwidth and lenght. In this example I have changed the pathWidth from 1.6 to 0.4 mm and the length from 120 to 200 mm. Of course making changes to the default.cfg file takes a bit more work than changing settings in a program like slice3r, where they are available in the interface. However, if you prefer using Flashprint, then this method may be your only option for some advanced tweaking of print settings. Could you please guide me to make shell count “0”. I given shell “0” in .cfg file many times but it is not working. the software defaultly considering 1mm. Hi, although the config file mentions a minimum shell count of zero, I believe this is not possible. Note that this parameter refers to perimeter shells, not the top layer, so I am not sure why you would want to set this to zero as this would only leave the infill of the part. Thank you , top and bottom is possible. Only thing is perimeter and it is not becoming zero. If not in flash print software, How I can do this ? 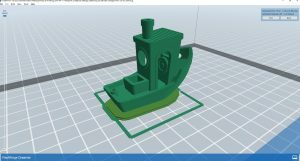 If you know how to connect the cura with creator, please send the link. 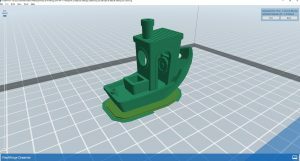 Hi, I am not sure how to connect the Creator with Cura, as I am only using Flashprint and Slic3r at the moment with the Dreamer. Maybe checking out the Cura forums can point you in the right direction. 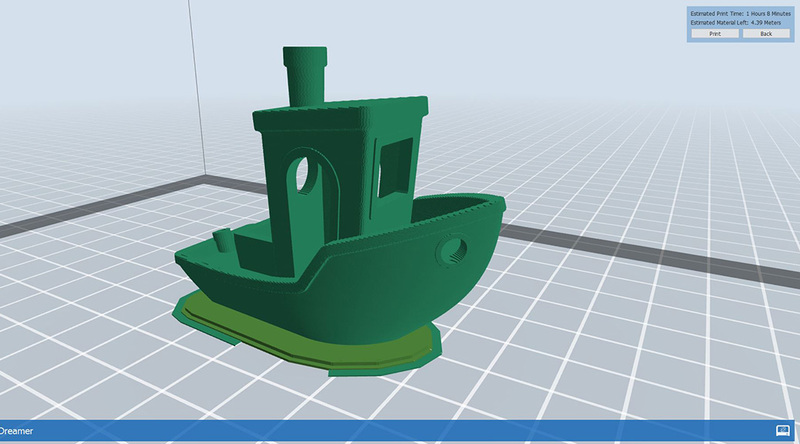 Hi, I tried to do this to change the parameter to change de nozzle from 0.4 (default) to 0.2 (new one), but when i open the flashprint, it appears with the standar Path Width = 0.4. As far as I am aware it is not possible to change the nozzle size in Flashprint. The pathWidth parameter is set to 0.4 by default, but this does not change the nozzle diameter. It is changing the extrusion width, wich is set by default to be the same as the nozzle diameter, in this case 0.4. You could increase it since it is possible to extrude a wider path with a nozzle than its actual diameter. (the pre-extrusion path for example). Ingterestingly the config file indicates a range starting at 0.2mm, but since the nozzle diameter can’t be changed this value is not realistic. I would not go below the nozzle diameter in the extrusion width. 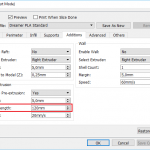 For a smaller nozzle diameter you might be better off with a program like Slic3r, which does allow you to change the nozzle diameter. Hope this helps. I have just sent you an email. If you provide me the details to your problem I try to help you resolve them. Hello, I am a researcher at the University of Michigan and I am having trouble viewing the gcode flashprint creates. After clicking the print button, defining the setting and clicking okay, the only file type option I have to save in is .x3g, which is unreadable. I see that you have pictures of the gcode in this article, could you share with me how you got access to those please? 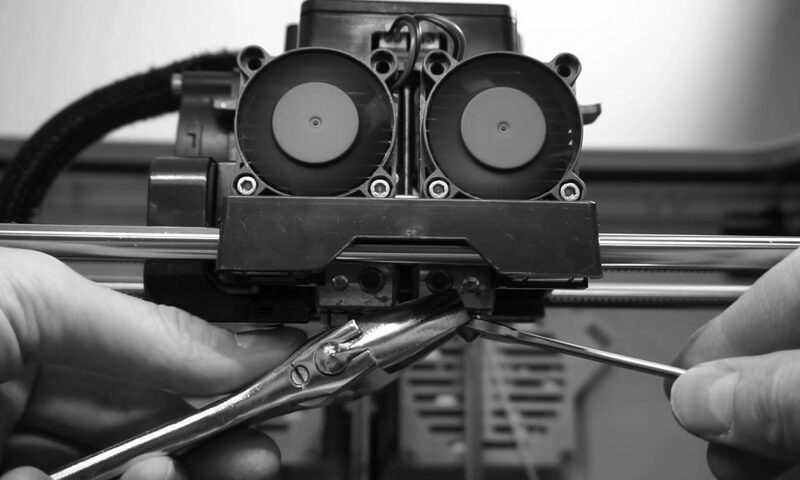 Hi, do you have a Creator Pro printer? In that case your only option is using x3g files, which are unreadable. The Dreamer uses standard G-code. ( If you select the .g format. The .gx format for the Dreamer is also binary but gives you a nice icon of the model in the selection menu on the printer.